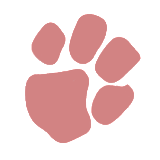 All the MyPaw latest news and information will be shared with you here. Have you spotted the MyPaw Mobile Studio & Showroom out and about this year? We're thrilled to announce that www.MyPaw.co.uk is now LIVE!